The Northwestern Ontario Society of Architects promotes professional, local and sustainable architecture to improve Northwestern Ontario`s designed and built environment. Learn more about us. Whether you`re an architect, student, artist, engineer or simply someone who shares our passion for great architecture, we invite you to become a member. If you`re considering a new building project, a local architect can help you to achieve your design and build vision. Choose a Northwestern Ontario architect. 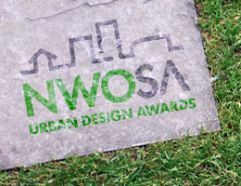 Recognizing excellence in architecture and urban design.